Your layouts are always so clean and elegant, unlike my style. I love your pastel colors and negative spaced title directly on the page. That's planning ahead. Beautiful coloring on this page. Such a pretty, simple layout! Love it! Love the negative cut title! Beautiful page! beautiful layout. I love how you did your title! Simply beautiful! The title is awesome! That is one of my favorite lines, too. This is really awesome! Love the cut-out title and the paper stripes beneath it. Nice arrangement of the photos! Oh I love the white space and feel of this layout!!! I love that cut out, the white space and the pop of color. Amazing page!! Beautiful Mary Ann!! 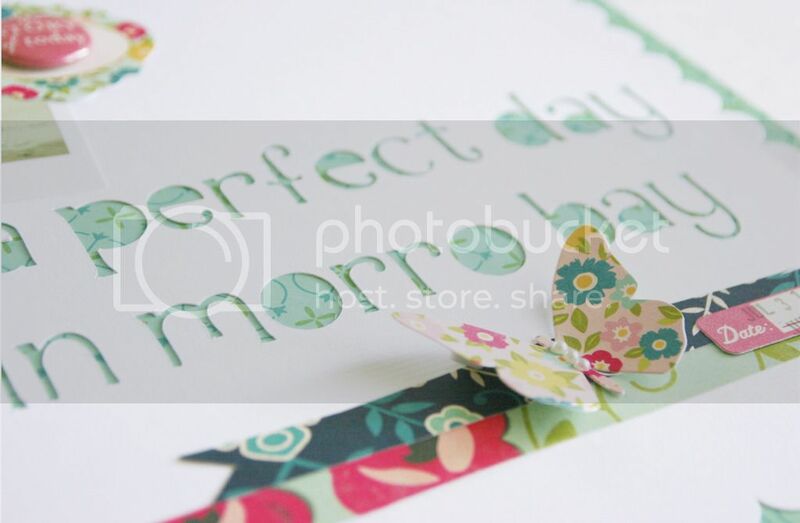 Love the dominant white background with the small touches of pattern and the negative cut title is really fabulous! Perfect title work !! It really does draw the eye to the photos! Absolute perfection, Mary Ann! Love the title work!